What could be more romantic than horse led carriage rides, hot cocoa by the fire and the site of freshly fallen snow? Sounds dreamy doesn’t it? That’s because it is! A winter wedding showcases the natural beauty of Shandelee while providing a sense of intimacy to you and your loved ones. Spend your celebratory days cozying up by the fire with endless board games, hot cocoa (or hot toddies) and give the family a chance to reconnect gearing up to celebrate the most important day in your life! Fan of the outdoors? Get out and adventure! Host your very own ice fishing tournament, snowshoe our 80 acre property and keep an eye out for deer, foxes and bald eagles, or let us plan a private brewery tasting onsite for all of your guests. Our Spa is also located just across the street from our Main Inn and offers multiple treatments and has its own relaxation room with wood-fired stove to relax you and your besties before a memorable night of fun. Let us help you plan your guest’s activities from the start of the weekend till the very end at checkout. 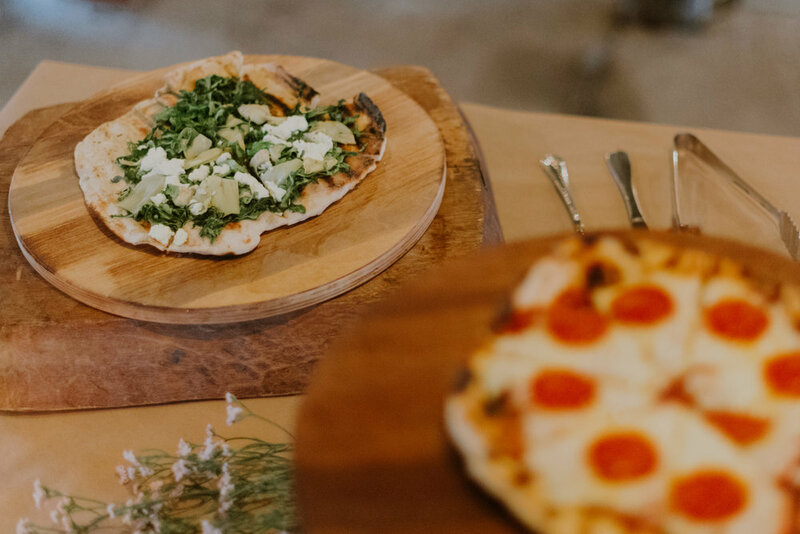 Our team would be happy to put together a personalized itinerary with the must do’s, see’s and eat’s from the area based on your feedback in order to help you throw your perfect wedding weekend! 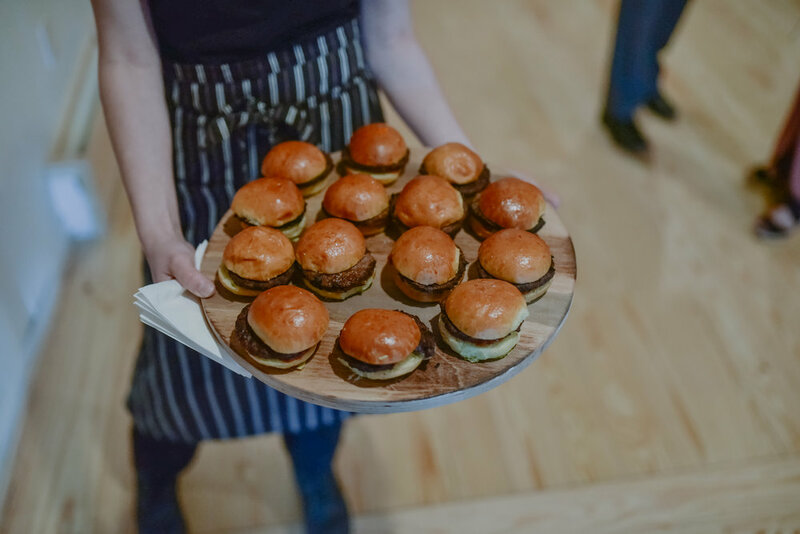 We can showcase mouth-watering selections from potpie stations to our famous baked potato bar, hearty meats and housemade soups but can also offer lavish shellfish stations and local charcuterie boards balanced with pickled summer vegetables and hearty breads. Are you a fan of BBQ but don’t feel it can be done in winter? Of course it can! Ask us about our smoked kielbasa with chimichurri served with our favorite Mexican corn dish and a heaping side of jalapeno cornbread. And for your inner sweet tooth, how about a champagne and truffle bar or fireside fondue showcasing waffles, house-smoked candy bacon and whiskey marshmallows? Whatever you have your heart set on, our Chef would love to work with you to incorporate your favorites and handwrite your very own menu. But if too many options has your head spinning, ask us for our favorite winter showstoppers! And if you have a favorite drink you want to showcase, let us barrel-age it just for you and serve it as your signature cocktail during the reception. Alongside a selection of great local beers and spirits, this can really round out a wonderful bar selection for your guests. Say your vows in our Sunroom, complete with a vintage Malm woodstove and your very own snowy backdrop or work with our Director of Gardens to transform this space into a greenhouse filled with all your favorite flowers and plants. This light-filled room is the perfect space for an intimate ceremony amidst loved ones and can comfortably seat 60 guests, plenty more with standing room! Or maybe you seek adventure and want to say your vows in the snow? There are plenty of special places on our property for a winter ceremony - complete it with warm blankets and a hot cocoa bar (with local bourbon of course) to keep all your guests toasty warm and give them a ceremony to remember. Invite your guests into our Tavern with its woodstove roaring for cocktail hour. A fully equipped bar with juke box, pool table and welcoming staff will make your big day as special and unique as the two of you. Enjoy seasonally-focused appetizers in this bubbly setting (no pun intended). Let’s talk about the most important part - dining & dancing! Shandelee Hall is just upstairs and waiting for you. This large and open concept space can comfortably fit 100 guests and has its own built in service bar. The adjacent sunroom can be transformed into your dancing scene while the DJ turns up some lively tunes! After dancing up a storm, our s'mores bar is the perfect way to round out the night fireside. Or head back into the tavern and crank up the jukebox and indulge in some sweet & savory bites to keep the energy going. To begin planning your wedding weekend at The Arnold, contact Sarah at sarah@fostersupplyco.com. For further information, you may also view our profile on the Venue Report.